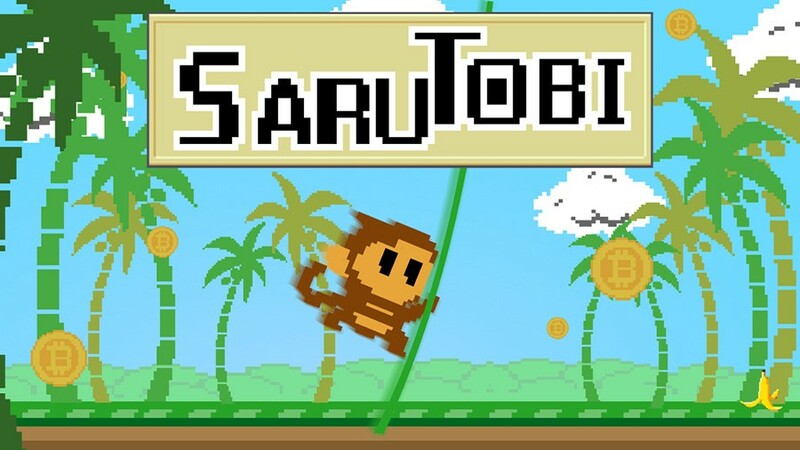 Many Bitcoin enthusiasts will remember the SaruTobi game, in which players control a monkey swinging from tree to tree and collecting bitcoins. The way for an Android version is almost over, as the team made an announcement regarding their progress. SaruTobi Is Coming To Android! It is not the first time there are rumours about an Android version of popular Bitcoin game SaruTobi. Up until this point, the game has only been available to iOS users, as that is the easier operating system to develop an app for. Unlike its Android counterpart, iOS has far fewer different phone and tablet models, and there is no variance in hardware. However, it looks like an Android release is imminent, although no official release date has been announced just yet. That is only normal, as the SaruTobi developers have announced some new features will be coming exclusively to Android, including the option to use items from the Spells of Genesis game. Similar to its iOS counterpart, the Android version of SaruTobi will be paying out in Bitcoin through two different business models. All of the ad revenue generated by the developers is converted into Bitcoin, and split between all players of the game. For anyone who has ever played – or will be playing = SaruTobi, clicking those ads is beneficial to you as well. Secondly, instant Bitcoin tips will be paid out when a player has collected enough coins in the game. However, before such a payout can take place, there need to be sufficient funds in the SaruTobi hot wallet. At the time of writing, the team had announced a plan to introduce Bitcoin donations to fill up their hot wallet at any given time, yet no details have been officially announced just yet. Last but not least, users can donate Bitcoin externally, in exchange for SaruTobi tokens on the Counterparty network. Every token can be used in the game itself as a power-up, or players can trade them on any exchange supporting Counterparty assets as well. These tokens will be sent to the indieSquare wallet, from which users can withdraw funds to their “game account”.